If you are reading this post, I’m sure you know how important is to create a mailing list to retain the loyalty of your blog users. It’s essential to weave a deeper relationship with your subscribers, communicate and get to know them better. There is nothing more wrong than using your mailing list just to communicate the release of your latest article. Your subscribers should be treated as privileged: you have to give them added value! Send exclusive content, new discoveries, case studies or your future plans. This helps to establish a really deep connection between you and your readers. This post at WHSR suggests to always have something to offer in you emails, whether that’s a freebie or an idea or an opinion, always make the person feel special. Now, even if it may sound easy, I can tell you that managing a successful newsletter is a trivial task. Today, millions of emails are sent every day in the world and, with the current pace of life, no one can read all the emails he receives. Due to the limited time available, each person decides in an instant if he is going to read or not a message, often, by simply scanning the object or the sender. For this reason, you must know the basic strategies of the email marketing, which includes using the right service provider. In this post, I’m going to list the top 6 email marketing tools in the industry. It’s up to you deciding the one you like more. 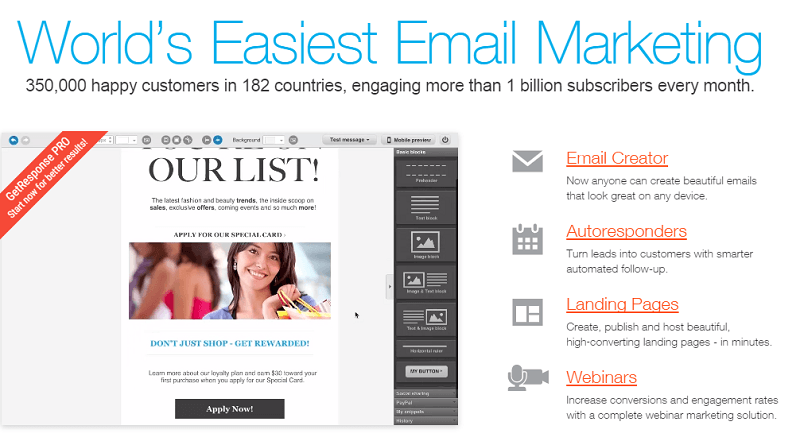 GetResponse is, in my opinion, one of the best email marketing providers. With an intuitive user interface and beautiful design, you can create attractive email newsletters to boost your business. I like the email creator feature that checks how the messages will look on desktop or smartphones, so to make the proper changes before sending them out. There are more than 500 templates to choose from, plus, there are more than 1000 free iStock images you can insert into your emails to make them more visual appealing. One of the main features is the autoresponder, the most loved tool of bloggers and marketers. Using this tool, you can create a series of emails that are sent to users automatically at specific intervals of time, once subscribed to your mailing list. This is actually a powerful strategy, that gives you the opportunity to stay in touch with your audience for a long time. And it’s an automatic system. Once you set it up the first time, it works the same way for every new subscriber. GetResponse also offers an easy to use landing page creator (it’s a feature included in all plans, something that you don’t see on many other ESP). There are more than 100 templates to choose from, with good-looking “thank you” pages that match the design of the template chosen. The drag’n’drop WYSIWYG editor is really simple to understand. Without particular HTML knowledge, you’re able to move and edit every element of the landing page (such as buttons, texts or boxes). I particularly like the extra option to publish the landing page on the tab of a Facebook fan page (other than on websites or a free GetResponse sub-domain). Every template is mobile-friendly, which is really important nowadays. The last feature I want to talk about is the webinars (something that just GetResponse offers included in an email marketing service plan). As you know, a webinar can boost your business and improve your audience, by creating online events where you can share your knowledge on certain topics. This is a perfect occasion to gather new contacts for your mailing list. Pricing is competitive. From $15/month for unlimited emails to 1,000 contacts or $25/month for up to 2,500 contacts (included the landing page builder, other than email creator and autoresponders). The next step is at $49/mo, including also the webinar service. AWeber is another popular choice, which used to own the market monopoly until a few years ago (I remember it was the obvious choice when I started blogging in 2010). It has many high-end features, inlcuding autoresponders, sign-up forms, email deliverability, email newsletters with a drag and drop editor. I particularly like the easy-to-use templates and segmentation capabilities. There are a few cons, however. AWeber doesn’t support mobile platforms and doesn’t host images on its own servers. You can make use of landing pages with Aweber, using a series of third party tools or (if you have enough expertise) by manually coding your landing page and inserting the Aweber form (unlike GetResponse which offers the landing page editor included in all its plans). Prices are quite hard to digest. Plans range from $19 per month for just 500 subscribers, scaling at $29 for up to 2500 and $49 for up to 5000. 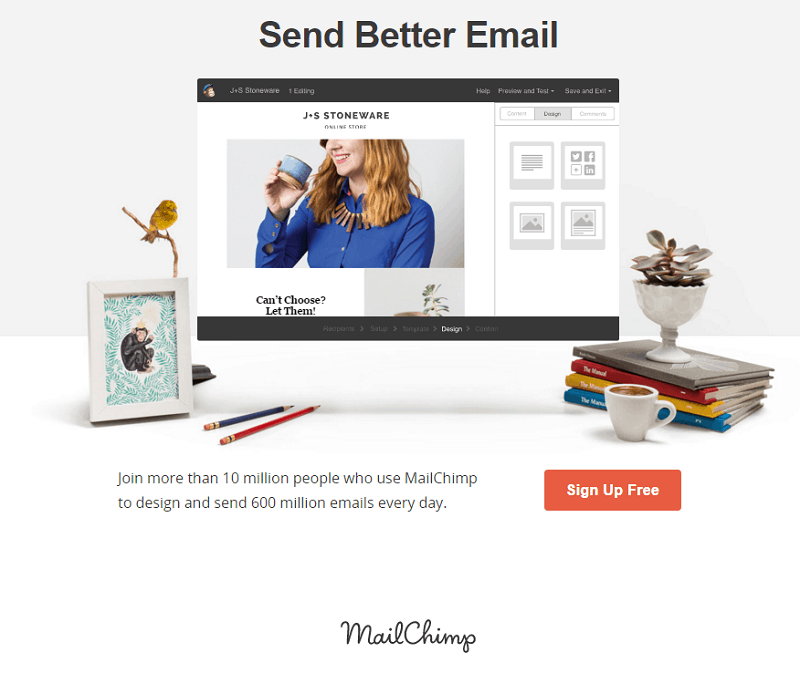 MailChimp is a good solution for very small businesses. The free plan offers lots of third-party integration and a good number of help materials. There are built-in templates and editor to customize the campaigns. The free version supports up to 2,000 users and up to 12,000 emails per month, switching to the paid version costs $15 (or up to $240) per month depending on how many subscribers you have. Good integration with mobile and awesome appplication for Android and iPhone. There are a few cons. Features like spam filtering, analytics tools and auto-responding abilities are absent in the free plan. Even with paid plans, reports aren’t real-time and are quite slow to refresh. When your mailing list is over 2000 subscribers, with MailChimp the service can cost quite a lot. With 2,500 contacts, the price would be $30, scaling at $35 for 2600 users and $40 for 2700. Quite expensive, even with unlimited emails. As a bottom line, I can say that MailChimp is easy to set up and simple to use. If you are a small business looking to get started with email marketing with the least amount of investment, MailChimp should be your solution. If you are just starting with email marketing, other than MailChimp, ConstantContact could be a great solution. They offer a powerful and user-friendly interface with a wide selection of email templates. There are a huge selection of materials to leverage email marketing for your business, such as webinars, tutorials, user guides and tips to help you in this industry. ConstantContact offers great event management tools and useful social media campaign resources. But there are a few cons. They miss some advanced options, such as triggered campaigns and an RSS to email function (these features are powerful when you want to automate part of your campaigns), or even A/B split testing, which is another important omission (I’m sure you understand how A/B testing can improve your conversions). They have quite high prices for the industry, starting at $20 per month to send unlimited emails for up to 500 users and scaling to $35 per month for 2,500 contacts and $55 per month for up to 5,000. Benchmark Email offers a free plan which allows you to send up to 10,000 emails per month. There are a lot of user segment options and their customer support is great. I liked the Google Analytics tracking option. With the paid plans, you can get other premium features, such as online surveys, email templates, and track email statistics. Overall, I can say that Benchmark Email grants a simple to use interface and a good number of features. The cons are that Benchmark does not offer Gmail or other third-party contact integration. Plus, there’s not a mobile preview option. I also found email editor a bit glitchy in testing. Prices start $9.95 per month for 600 emails and max out at $375 for 100,000 emails per month. Omnisend is a great tool for those who want to take their email marketing to the next level. Not only does this platform offer sophisticated email marketing automation workflows, but you can include additional channels into the same workflow. This means you can create complex workflows including channels such as SMS, web push notifications, Facebook Messenger, WhatsApp, Viber, and more, extending your campaigns across several channels at once. But email stays at the core of what Omnisend does, and they do it well. You don’t need HTML savoir-faire to create emails with this tool, instead just use their drag-and-drop visual composer. That same visual aspect is used for when you’re creating popups, landing pages, or anything else in Omnisend. Another interesting point to note is their segmentation. They allow you to layer segmentation so that you can target by profile data, campaign engagement, customer behavior, or a mixture of the three. This allows you to get pretty precise when you’re targeting your campaigns. The biggest con with Omnisend is that there is no mobile app at the moment. So if you’re trying to send your campaigns on the go, it might be a good idea to bring a laptop. Prices start from $16 per month for their Standard plan, and their free plan for basic email marketing allows for up to 15,000 emails per month. For starters, MailChimp, ConstantContact and Benchmark could be a valid solution. But when coming to advanced email marketing features, GetResponse offers the most interesting service. As for pricing (if we don’t consider the free plans), the most competitive are still GetResponse, with an impressive set of features for just $25 per month (landing page editor, autoresponders, email creator, webinars). While it’s always up to you the final choice, I’d like to hear what you think about these 5 email marketing tools I talked about in this post. Do you have experience with any of them? Which is the easiest to work with in terms of templating? I remember working with one program to do email blasts and having a surprisingly difficult time duplicating a template I had into it. I find GetResponse user interface extremely easy to work with. The drag’n’drop WYSIWYG editor is simple to understand, at glance. Nice post about “Email Marketing Tools” i too feel personally GetResponse is one of the best email marketing providers to boost our business. Good to hear you prefer GetResponse, over the other email marketing providers, Krify. Thank you for sharing!! Everyone wants his business grow up. Growing Business needs promotion for running good way. Here you find some information about Email marketing tools. Thanks for the comment, Entab. Glad to read such article on Email marketing. I am also using Getresponse for building my Email list. It’s really an amazing tool with all the necessary parts of Email marketing which comes at very affordable price. I got the link of this post on Blokube and loved it. Happy blogging! good to hear your are using GetResponse. It’s a great service, right? 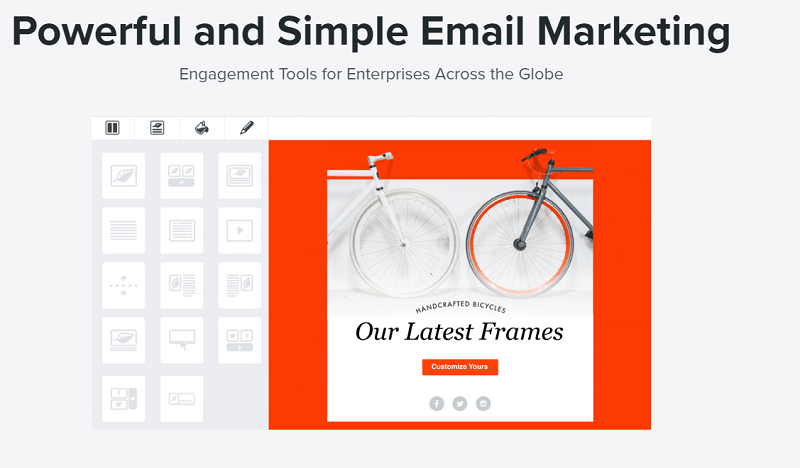 Nice post about Email Marketing Tools. 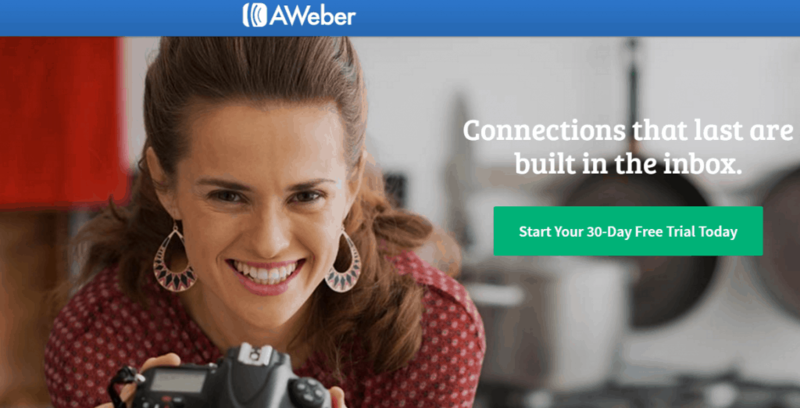 I feel personally Aweber is one of the best email marketing providers to boost business. We should give a try to this tool at least once. It’s good to hear the feedback from an Aweber user. Excellent and well researched post. I am sure there are other good email marketing platforms but one cannot cover everything under the sun. I have recently been contacted by Bronto… so tell me if you know about them? Secondly… I have a unique situation. I am currently doing some digital stuff for a company and I need to know if platforms (especially those from US, UK) would automatically disqualify emails with a domain?. I asked one provider in the US and they said their’s would. But do you have any idea about this? Or maybe one of your readers. Never heard of them, Elise. I’m sure with a good ESP you won’t have that kind of issues. I would recommend MailerLite for bloggers and marketer, that’s a cool tool to have. MailerLite is cheap in price as well compared to MailChimp…. Thanks for sharing your experience and recommendation. Hey, nice blog post! Its very informative.If we are talking about Email marketing, then I would like to recommend one tool which i have used before -Easysendy Pro.It is also a good tool, cost effective and provide more than 10 SMTP’s. Any resource we can read about that, Kuhu?